Exposure to toxins is an inevitable part of modern living – with volatile organic compounds, or VOCs, found in everything from paints and flooring, to furniture, air conditioning, detergents and even shopping bags. The good news is, many of these toxins can be purified from your great indoors with a humble pot plant or four. 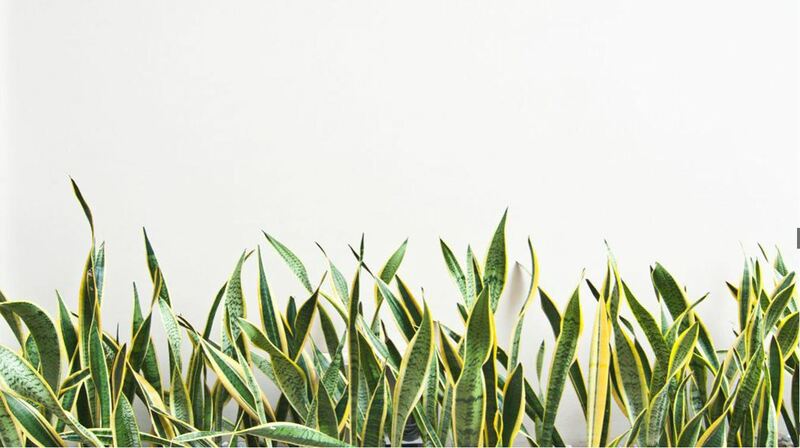 In fact, plants are so highly regarded for their toxin removing skills that NASA conducted the ‘Clean Air Study’ to determine which indoor plants would best clean the air – and now houses them in their space stations. Bonus: They’ll also make the room look fab! Dwarf date palm. 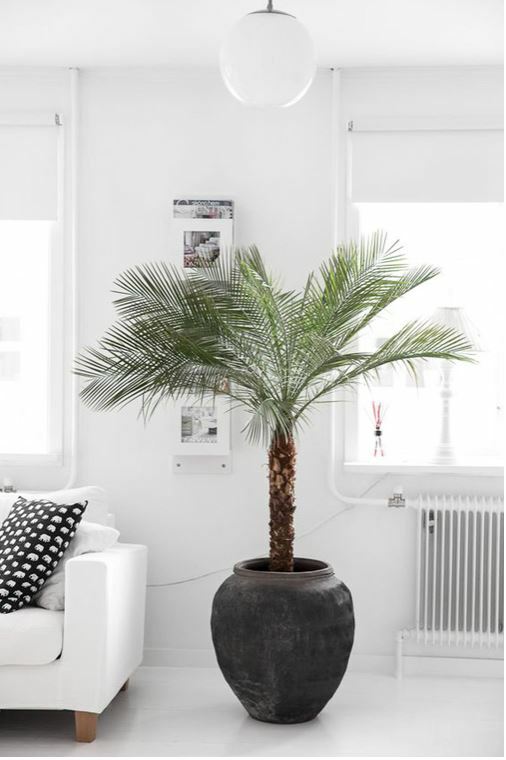 This pet-friendly plant removes formaldehyde, xylene and toluene from the air. And just what are these toxins and what do they do? Formaldehyde is found in virtually all indoor environments, from grocery bags, waxed papers, facial tissues and paper towels to common household cleaning agents, cigarette smoke and heating and cooking fuels. It irritates the mucous membranes of the eyes, nose and throat and can cause contact dermatitis, irritation of the upper respiratory tract and eyes and headaches. Toluene and xylene are strong compounds used in many household and industrial products, and poisoning can occur when swallowed, the fumes are breathed in, or when they touch the skin. Other pet-friendly plants that attack these toxins? Check out the Areca palm, Kimberly queen fer, Bamboo palm, and the Broadleaf lady palm. Lilyturf. Non-toxic to pets, this easy-care, year round bloomer adds a dash of blue and white to your space, and also emits a delicate perfume. In terms of air purification, Lilyturf not only removes formaldehyde, xylene and toluene, it also purifies the air of ammonia. Found in window cleaners, floor waxes, smelling salts, and fertilisers, short-term exposure to ammonia can cause eye irritation, coughing or a sore throat. Barberton daisy (gerberas). 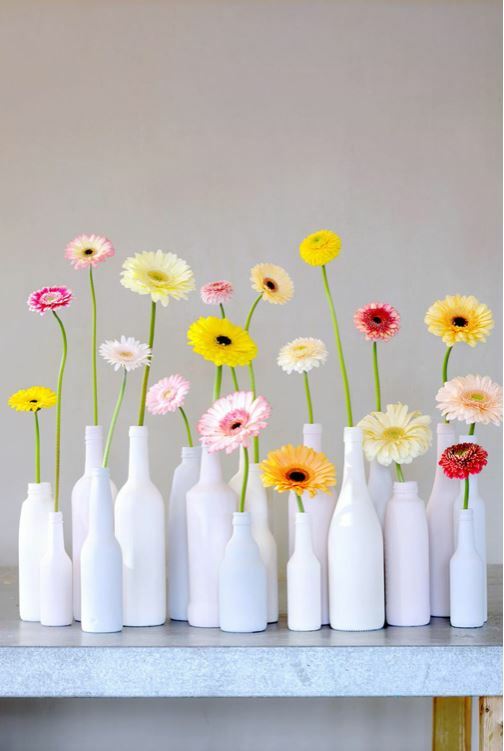 You’ll have no doubt seen (or received) a bunch of these in your lifetime, they’re very popular for their bright, simple round blooms and make an even more useful gift as a live bouquet. Pet-friendly, they purify the air of benzene, formaldehyde, and trichloroethylene. Benzene is a commonly used solvent also present in inks, oil, paints, plastics, and used in the manufacture of detergents. It not only iritates the skin and eyes; repeated skin contact with benzene causes drying, inflammation, blistering, and dermatitis. Trichloroethylene is used in printing ink, paints, lacquers, varnishes, and adhesives and is considered a liver carcinogen. Variegated snake plant (mother-in-law’s tongue). 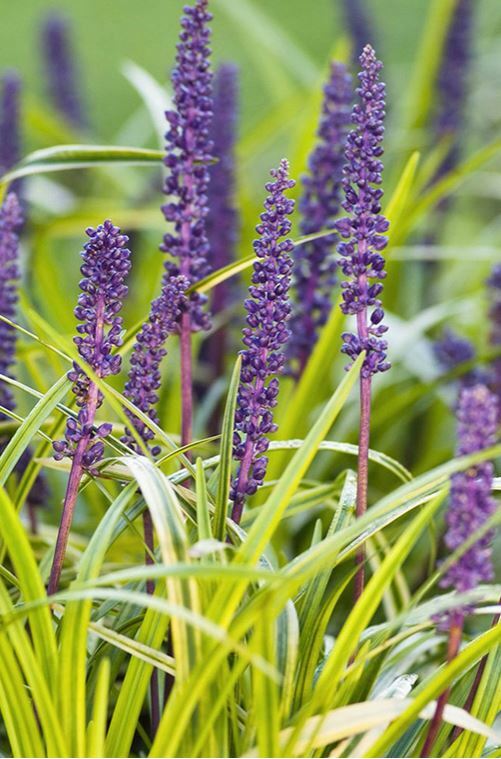 Primarily popular for its indestrcutible nature, it’s also bang on trend with its bold and clutter free lines. The quirkily named plant removes all key toxins except ammonia, making it a serious multitasker. Unfortunately, it is toxic to cats and dogs, so better kept to offices or pet-free homes. The florist’s chrysanthemum. Less of a green thumb and more of a plant killer? 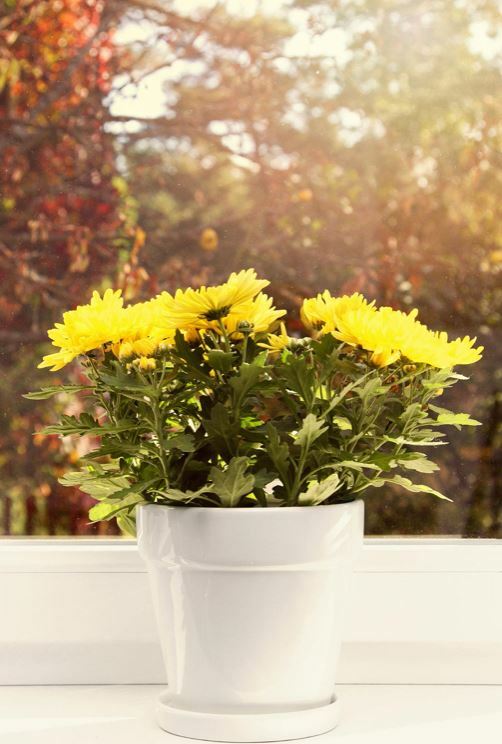 This plant’s home life tends to mirror its flowering season, which is around eight weeks, at which point, they’re cheap enough to throw out and start all over again! Better suited to the office, being toxic to dogs and cats, this multitasker purifies all five toxins from the air. Other plants that remove these toxins? The chrysanthemum morifolium and the peace lily. Perils of buying a house with rose-coloured glasses Is the housing market poised to achieve equilibrium?